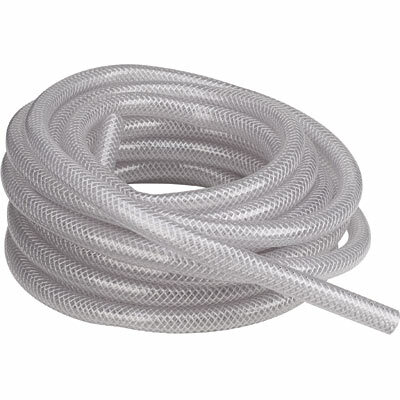 CLEARBRAID braided vinyl tubing has a glass smooth interior that stays clean and reduces pressure loss. It uses spiraled polyester yarn reinforcement with multiple longitudinal polyester yarn to provide pressure performance and kink resistance while reducing elongation under pressure. Orange tracer yarn is woven in to make identification easy. CLEARBRAID is made of food-grade materials and is NSF-51 and NSF-61 listed.